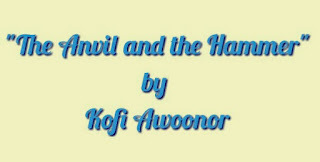 Comprehensive Analysis of Kofi Awoonor's Poem, "The Anvil and the Hammer"
Many Africans have lost and forgotten about their roots/African values as a result of their increasing contact with the western culture through western education and religion. While some who are still conscious of their roots try to fuse both cultures (African and Western cultures), others have totally left their African heritage for the western culture. The attitude of the latter has no doubt spurred Kofi Awoonor to write the poem, "The Anvil and the Hammer". 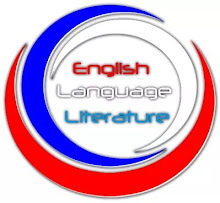 Through his poem, Kofi Awoonor tells Africans (who have thrown their cultures into the mud due to their exposure to the western culture) to trace and embrace their roots. He is not against Africans identifying with the western culture but of the opinion that both cultures have significant roles to play in the transformation of the old African into a new African. He uses two working tools (anvil and hammer) to symbolize this idea. Literally, "Anvil" is an iron block on which a Blacksmith puts hot pieces of metal before shaping them with a "hammer". Anvil and Hammer are like two sides of a coin; one cannot do without the other in the transformation process of the hot pieces of metal placed between them. For the hot pieces of metal to be refined, these working tools need to be in place. Symbolically, this piece of metal is the African who finds himself in between two distinct cultures represented by the anvil and hammer. "The anvil" represents the African tradition while "the hammer" is the western culture. Both influence the African in the process of transforming him/her into a new being. The anvil and hammer, which represent the African and western cultures respectively, are capable of bringing moral rehabilitation, transformation and rebirth from the old trend of life to a new view of life in the life of the African. "The forging house" is where the transformation takes place. In a symbolic level, the forging house represents the schools and churches where Africans learn the ways of the white man through western education and religion. The forging house is where these two distinct cultures meet. The above lines simply mean that the processes involved in transforming the old African (raw metal) into a new African (refined metal) is characterized with pains, but after the transformation process, there is joy of a new song. This can also be likened to the actions of the hammer on the hot pieces of metal placed on the anvil. The hot pieces of metal after being placed on the anvil, receives numerous painful strikes from the hammer in order to get into its reformed or new state. Consequently, the speaker/persona cries to "our fathers" to "sew the old days" so "that we can wear them under our new garment." Our "new garment" refers to the western culture to which we have now been inducted into after being baptized in the "whirlpool of the many rivers' estuary." "The many rivers' estuary" refers to the many new experiences to which the African is exposed to due to his increased contact with the western culture (see lines 11-14). The speaker asking his fore fathers to sew the old days so that we can we wear them under our new garment clearly affirms the fact that Kofi Awoonor is not against Africans identifying with the western culture but of the opinion that any African who has been exposed to the western culture, either through education or religion, should not leave his/her African values for western values and beliefs; rather, the person should embrace both cultures as they have significant roles to play in transforming the old African into a new African. In lines 15-19, there is an admission by the poet that they even "hear their songs and rumours everyday" and "determined to ignore these we use snatches from their tunes." The speaker is trying to buttress the point that even though they can hear and sing foreign songs to the detriment of African songs, they are now determined to embrace their cultural values and work towards promoting it by making themselves new flags and anthems while they lift high the banner of the land. Undoubtedly, these lines (15-19) portray the poet as a patriot. In the splash and moan of the sea. From the foregoing, Kofi Awoonor's poem, "The Anvil and the Hammer" is no doubt a sensitization to the black world to trace and embrace their root by always defending and promoting African identity and heritage everywhere.